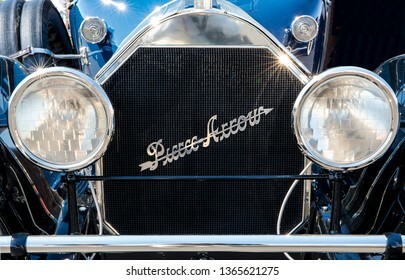 In my public relations career, my photos have appeared in print and electronic media. 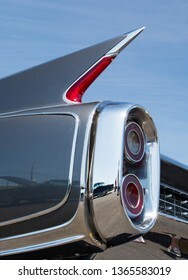 I believe in creating images that are realistic and unprocessed. 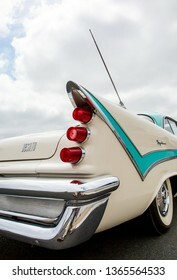 1,959 stock photos, vectors, and illustrations are available royalty-free. 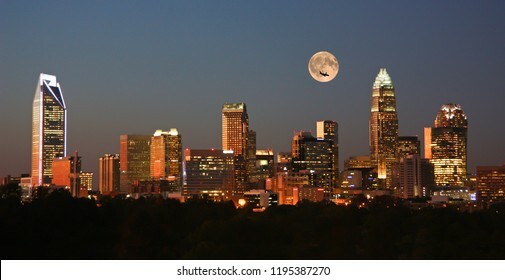 Skyline of Charlotte, NC, at sunset with a full moon overhead. 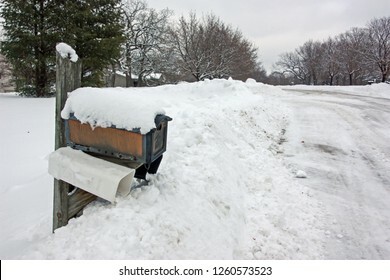 A mail box is nearly buried in deep snow after a snow plow cleared a rural road. 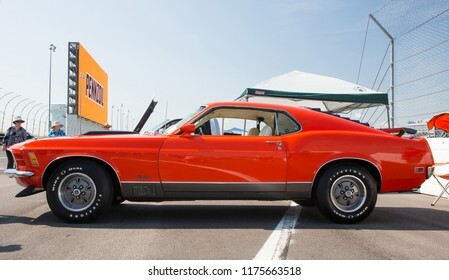 CONCORD, NC (USA) - September 7, 2018: A 1970 Ford Mustang Mach 1 automobile on display at the Pennzoil AutoFair Classic Car Show at Charlotte Motor Speedway. 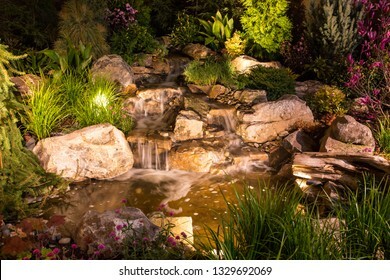 Natural landscape design featuring waterfalls, plants and dramatic lighting. 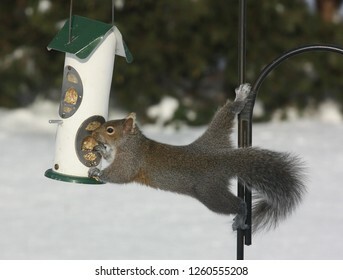 A gray squirrel stretches to steal seeds from a bird feeder. 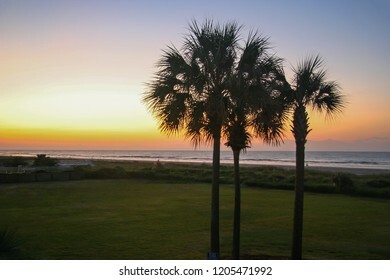 Dawn over a tropical beach with palm trees. 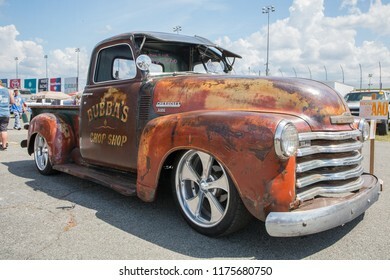 CONCORD, NC (USA) - September 7, 2018: A modified 1949 Chevy 3100 pickup truck on display at the Pennzoil AutoFair Classic Car Show at Charlotte Motor Speedway. 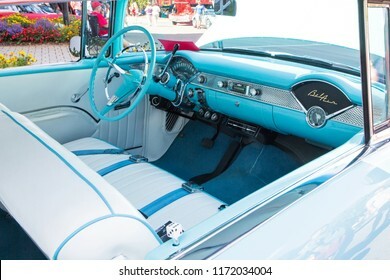 MATTHEWS, NC (USA) - September 3, 2018: Interior of a 1955 Chevy Bel Air automobile on display at the 28th annual Matthews Auto Reunion & Motorcycle Show. 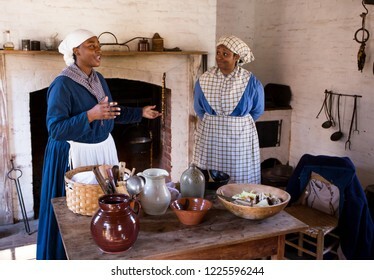 MCCONNELLS, SC (USA) - November 3, 2018: Reenactors in period dress describe the lives of enslaved people during an American Civil War reenactment at Historic Brattonsville, a living history museum. 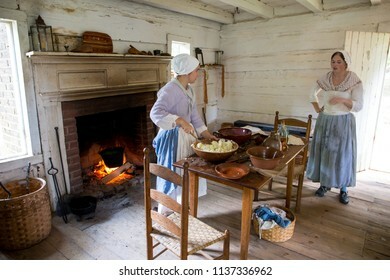 MCCONNELLS, SC (USA) - July 14, 2018: Reenactors in Colonial period costumes demonstrate 18th Century cooking practices at Historic Brattonsville, a living history museum. 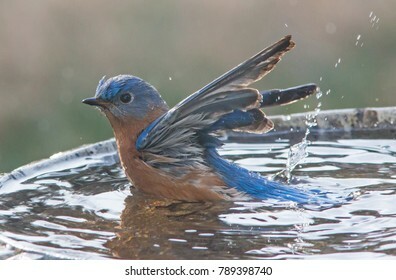 A male Eastern Bluebird splashing in a bird bath. 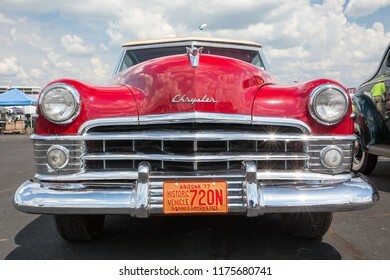 CONCORD, NC (USA) - September 7, 2018: A 1950 Chrysler New Yorker automobile on display at the Pennzoil AutoFair classic car show held at Charlotte Motor Speedway. 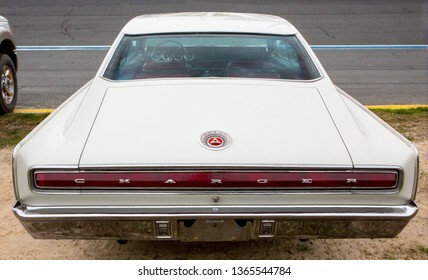 CONCORD, NC - September 7, 2018: A 1965 Chevy Impala SS automobile on display at the Pennzoil AutoFair Classic Car Show at Charlotte Motor Speedway. 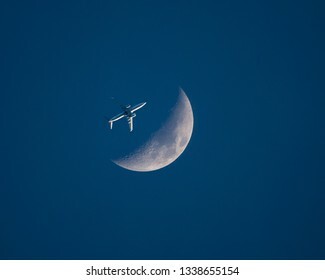 An airliner at low altitude passes by a waxing gibbous moon at sunset. 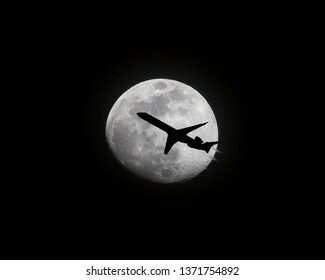 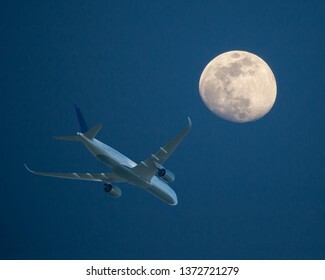 An airliner at low altitude is silhouetted as it passes in front of a full moon at night. 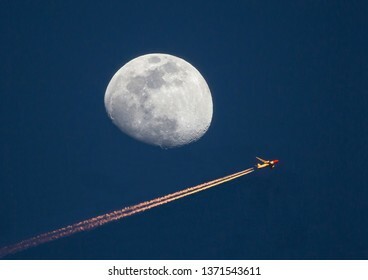 An airliner at high altitude passes by a waxing gibbous moon at sunset. 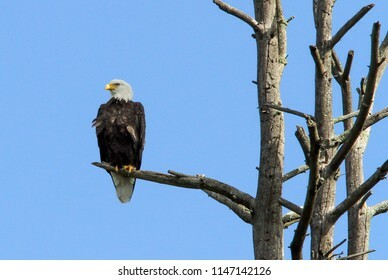 Bald eagle perched in a stand of dead trees. 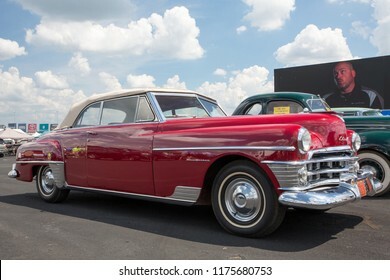 CONCORD, NC (USA) - April 6, 2019: A 1946 Lincoln Continental automobile on display at the Pennzoil AutoFair Classic Car Show at Charlotte Motor Speedway. 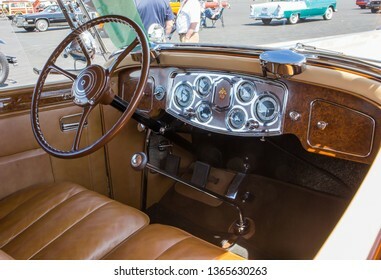 CONCORD, NC (USA) - April 6, 2019: Interior of a 1934 Packard automobile on display at the Pennzoil AutoFair Classic Car Show at Charlotte Motor Speedway. 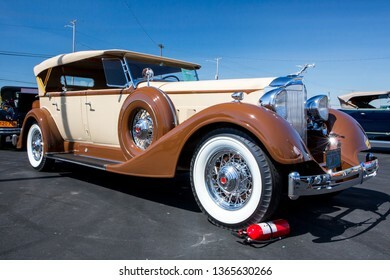 CONCORD, NC (USA) - April 6, 2019: A 1934 Packard automobile on display at the Pennzoil AutoFair Classic Car Show at Charlotte Motor Speedway. 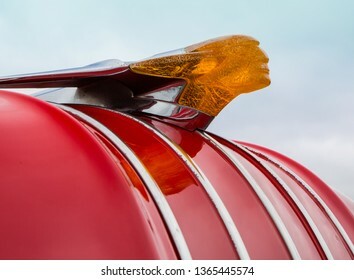 CONCORD, NC (USA) - April 6, 2019: Closeup of a 1935 Ford automobile hood ornament on display at the Pennzoil AutoFair Classic Car Show at Charlotte Motor Speedway. 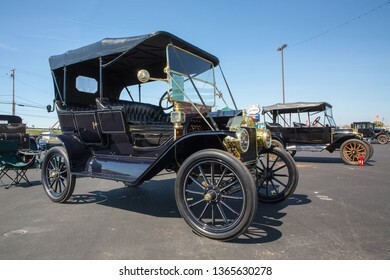 CONCORD, NC (USA) - April 6, 2019: A 1911 Ford Model T automobile on display at the Pennzoil AutoFair Classic Car Show at Charlotte Motor Speedway. 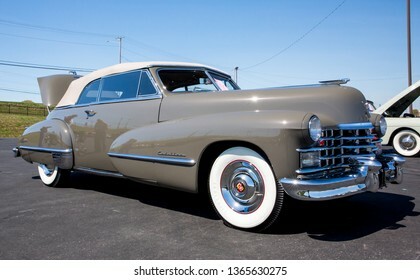 CONCORD, NC (USA) - April 6, 2019: A 1947 Cadillac automobile on display at the Pennzoil AutoFair Classic Car Show at Charlotte Motor Speedway. 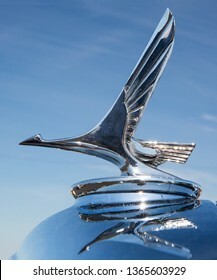 CONCORD, NC (USA) - April 6, 2019: Closeup of a 1939 Packard automobile hood ornament on display at the Pennzoil AutoFair Classic Car Show at Charlotte Motor Speedway. 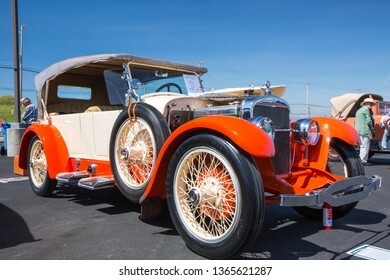 CONCORD, NC (USA) - April 6, 2019: A 1929 Buick automobile on display at the Pennzoil AutoFair Classic Car Show at Charlotte Motor Speedway. 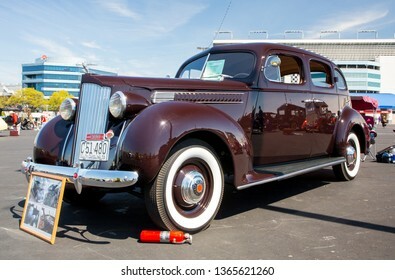 CONCORD, NC (USA) - April 6, 2019: A 1939 Packard automobile on display at the Pennzoil AutoFair Classic Car Show at Charlotte Motor Speedway. 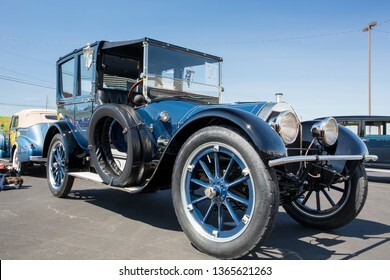 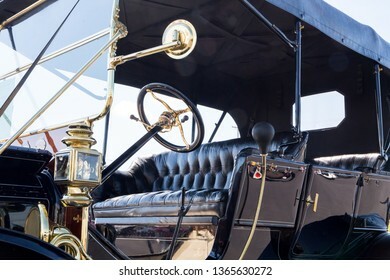 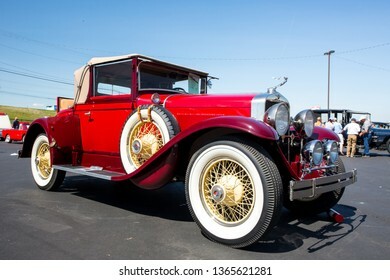 CONCORD, NC (USA) - April 6, 2019: A 1915 Pierce-Arrow automobile on display at the Pennzoil AutoFair Classic Car Show at Charlotte Motor Speedway. 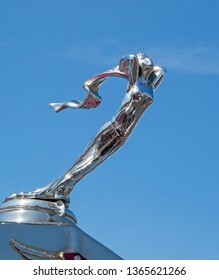 CONCORD, NC (USA) - April 6, 2019: Closeup of a 1928 LaSalle automobile hood ornament on display at the Pennzoil AutoFair Classic Car Show at Charlotte Motor Speedway. 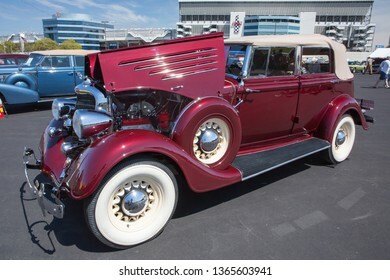 CONCORD, NC (USA) - April 6, 2019: A 1931 Buick automobile on display at the Pennzoil AutoFair Classic Car Show at Charlotte Motor Speedway. 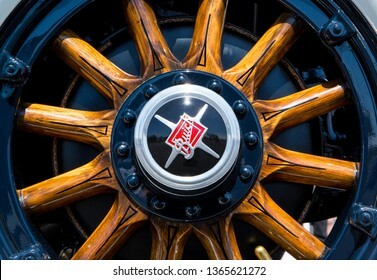 CONCORD, NC (USA) - April 6, 2019: Closeup of a wooden wheel on a 1929 Buick automobile on display at the Pennzoil AutoFair Classic Car Show at Charlotte Motor Speedway. 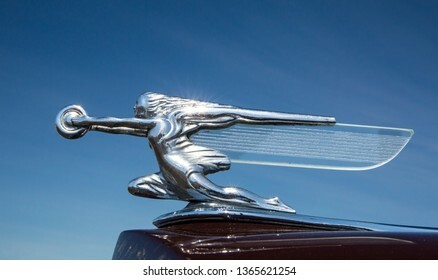 CONCORD, NC (USA) - April 6, 2019: Closeup of a 1934 Packard automobile hood ornament on display at the Pennzoil AutoFair Classic Car Show at Charlotte Motor Speedway. 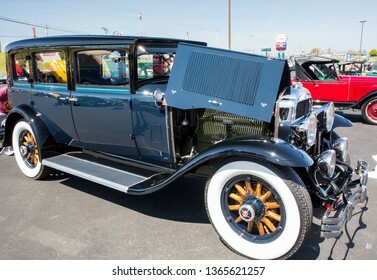 CONCORD, NC (USA) - April 6, 2019: A 1928 LaSalle automobile on display at the Pennzoil AutoFair Classic Car Show at Charlotte Motor Speedway. 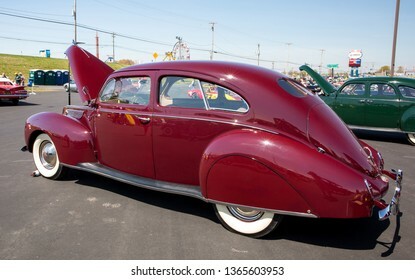 CONCORD, NC (USA) - April 6, 2019: A 1938 Lincoln Zephyr automobile on display at the Pennzoil AutoFair Classic Car Show at Charlotte Motor Speedway. 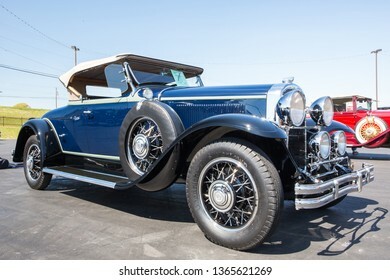 CONCORD, NC (USA) - April 6, 2019: A 1923 Stutz Touring automobile on display at the Pennzoil AutoFair Classic Car Show at Charlotte Motor Speedway. 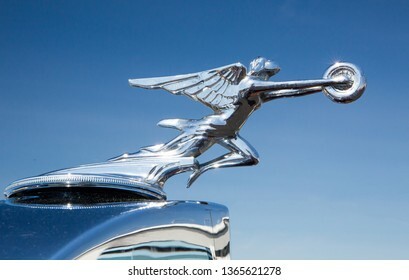 CONCORD, NC (USA) - April 6, 2019: Closeup of a 1931 Studebaker hood ornament on display at the Pennzoil AutoFair Classic Car Show at Charlotte Motor Speedway. 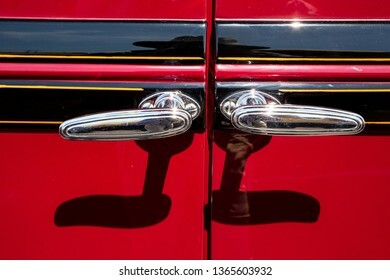 CONCORD, NC (USA) - April 6, 2019: Closeup of suicide door handles on a 1930 Erskine automobile on display at the Pennzoil AutoFair Classic Car Show at Charlotte Motor Speedway. 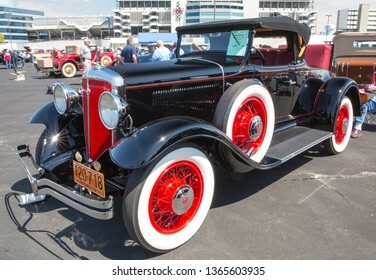 CONCORD, NC (USA) - April 6, 2019: A 1931 Studebaker automobile on display at the Pennzoil AutoFair Classic Car Show at Charlotte Motor Speedway. 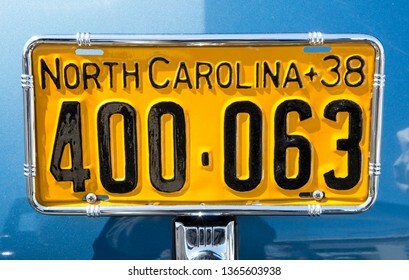 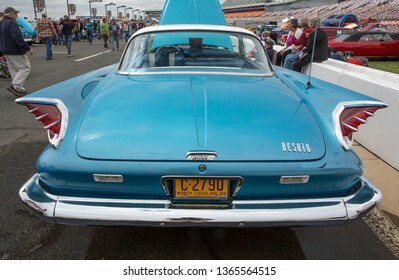 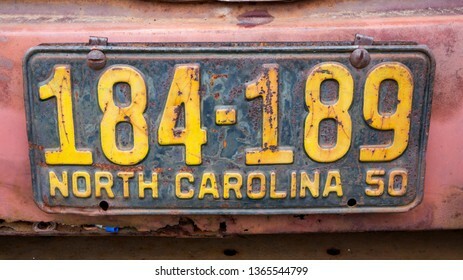 CONCORD, NC (USA) - April 6, 2019: Antique North Carolina auto license plate on display at the Pennzoil AutoFair Classic Car Show at Charlotte Motor Speedway. 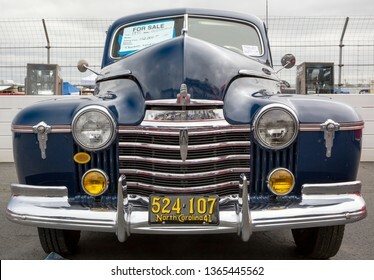 CONCORD, NC (USA) - April 6, 2019: A 1934 Dodge automobile on display at the Pennzoil AutoFair Classic Car Show at Charlotte Motor Speedway. 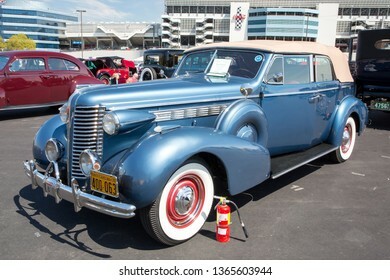 CONCORD, NC (USA) - April 6, 2019: A 1938 Buick Roadmaster automobile on display at the Pennzoil AutoFair Classic Car Show at Charlotte Motor Speedway. 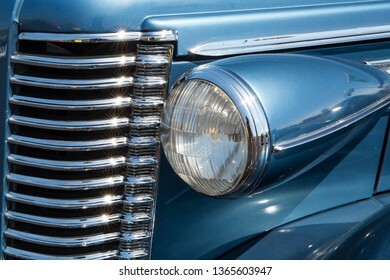 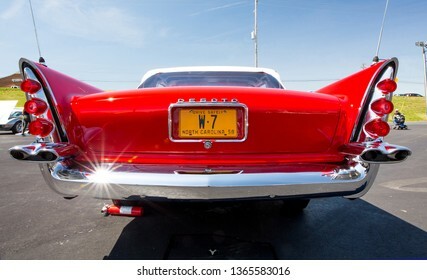 CONCORD, NC (USA) - April 6, 2019: Closeup of a 1938 Buick Roadmaster automobile on display at the Pennzoil AutoFair Classic Car Show at Charlotte Motor Speedway. 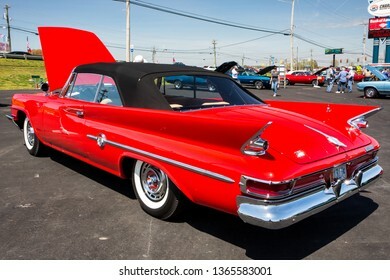 CONCORD, NC (USA) - April 6, 2019: A 1960 DeSoto automobile on display at the Pennzoil AutoFair Classic Car Show at Charlotte Motor Speedway. 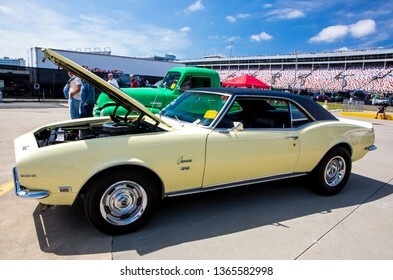 CONCORD, NC (USA) - April 6, 2019: A 1968 Chevrolet Camaro automobile on display at the Pennzoil AutoFair Classic Car Show at Charlotte Motor Speedway. 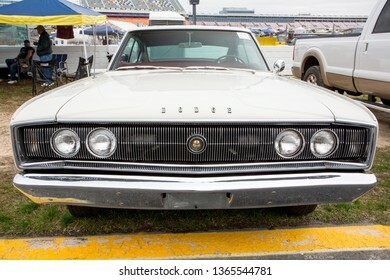 CONCORD, NC (USA) - April 6, 2019: A 1961 Chrysler 300 G automobile on display at the Pennzoil AutoFair Classic Car Show at Charlotte Motor Speedway. 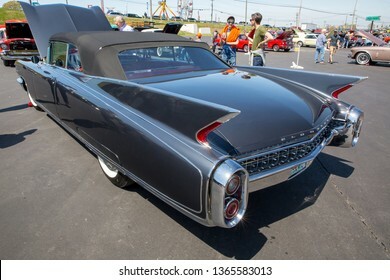 CONCORD, NC (USA) - April 6, 2019: A 1960 Cadillac Eldorado Biarritz automobile on display at the Pennzoil AutoFair Classic Car Show at Charlotte Motor Speedway. 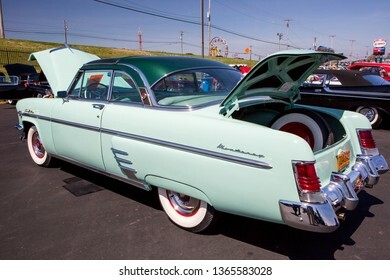 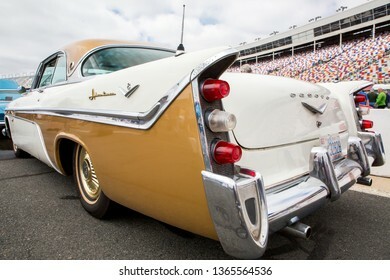 CONCORD, NC (USA) - April 6, 2019: A 1958 DeSoto automobile on display at the Pennzoil AutoFair Classic Car Show at Charlotte Motor Speedway. 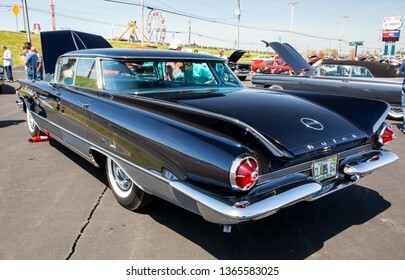 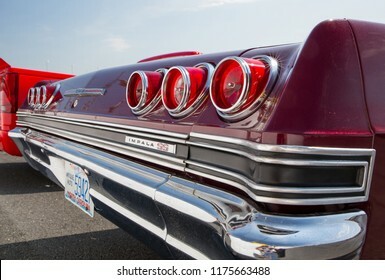 CONCORD, NC (USA) - April 6, 2019: A 1960 Buick Electra 225 automobile on display at the Pennzoil AutoFair Classic Car Show at Charlotte Motor Speedway. 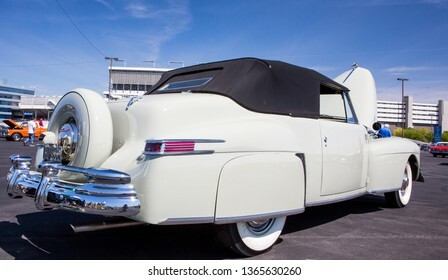 CONCORD, NC (USA) - April 6, 2019: A 1954 Mercury Monterey Sun Valley automobile on display at the Pennzoil AutoFair Classic Car Show at Charlotte Motor Speedway. 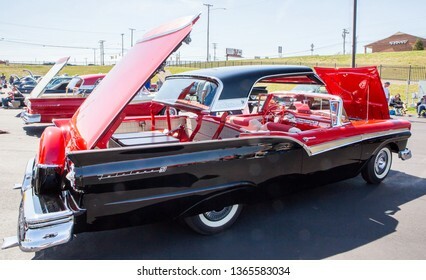 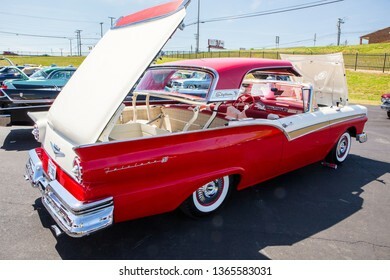 CONCORD, NC (USA) - April 6, 2019: A 1957 Ford Fairlane Skyliner automobile on display at the Pennzoil AutoFair Classic Car Show at Charlotte Motor Speedway. 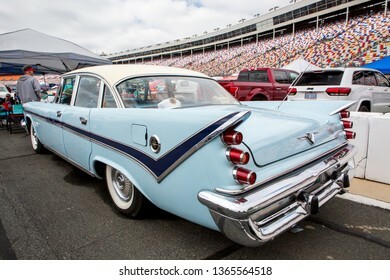 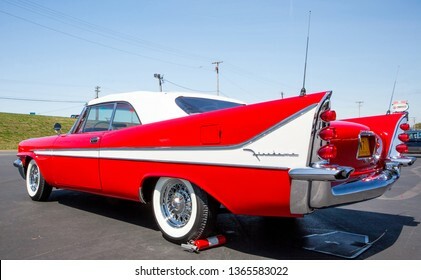 CONCORD, NC (USA) - April 6, 2019: A 1959 DeSoto automobile on display at the Pennzoil AutoFair Classic Car Show at Charlotte Motor Speedway. 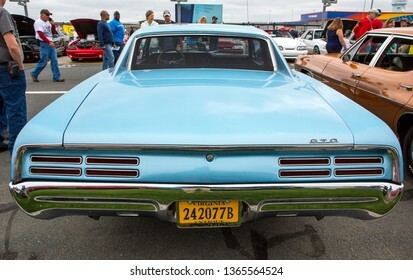 CONCORD, NC (USA) - April 6, 2019: A 1967 Pontiac GTO automobile on display at the Pennzoil AutoFair Classic Car Show at Charlotte Motor Speedway. 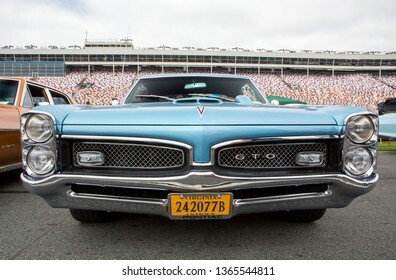 CONCORD, NC (USA) - April 6, 2019: Interior of a 1967 Pontiac GTO automobile on display at the Pennzoil AutoFair Classic Car Show at Charlotte Motor Speedway. 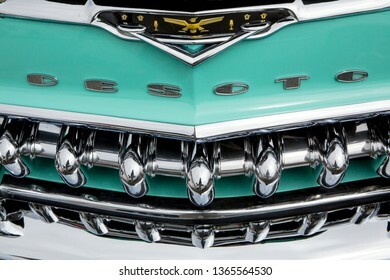 CONCORD, NC (USA) - April 6, 2019: Closeup of a 1955 DeSoto automobile grill on display at the Pennzoil AutoFair Classic Car Show at Charlotte Motor Speedway. 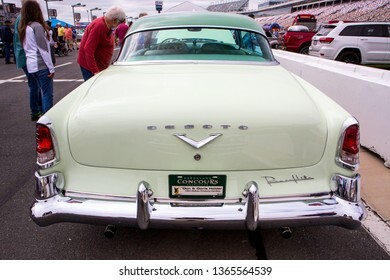 CONCORD, NC (USA) - April 6, 2019: A 1956 DeSoto automobile on display at the Pennzoil AutoFair Classic Car Show at Charlotte Motor Speedway. 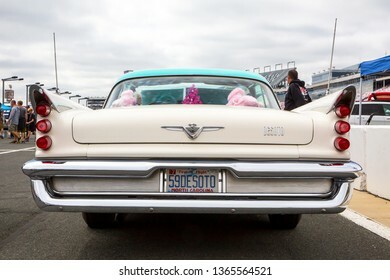 CONCORD, NC (USA) - April 6, 2019: A 1955 DeSoto automobile on display at the Pennzoil AutoFair Classic Car Show at Charlotte Motor Speedway. 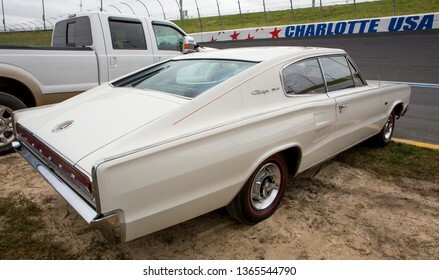 CONCORD, NC (USA) - April 6, 2019: A 1966 Dodge Charger automobile on display at the Pennzoil AutoFair Classic Car Show at Charlotte Motor Speedway. 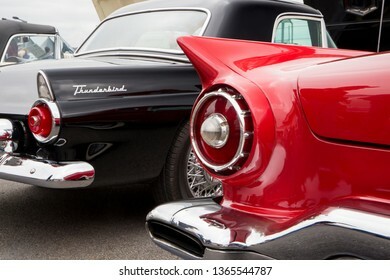 CONCORD, NC (USA) - April 6, 2019: 1955 and 1957 Ford Thunderbird automobiles on display at the Pennzoil AutoFair Classic Car Show at Charlotte Motor Speedway. 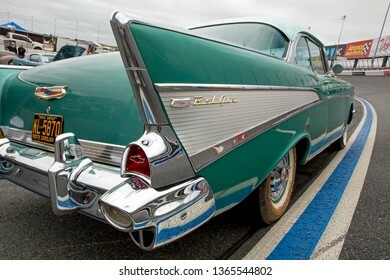 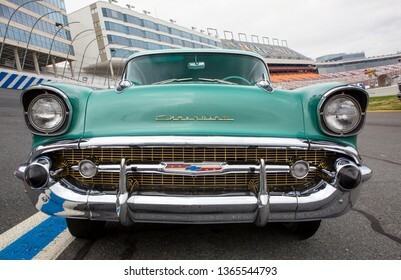 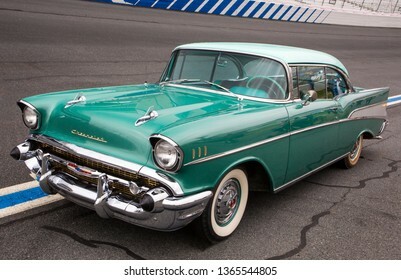 CONCORD, NC (USA) - April 6, 2019: A 1957 Chevrolet Bel Air automobile on display at the Pennzoil AutoFair Classic Car Show at Charlotte Motor Speedway. 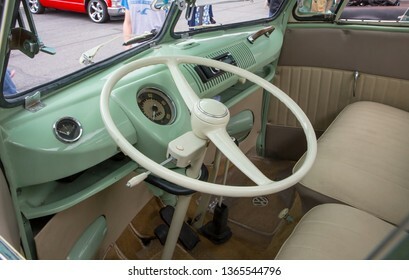 CONCORD, NC (USA) - April 6, 2019: Interior of a 1964 Volkswagen bus on display at the Pennzoil AutoFair Classic Car Show at Charlotte Motor Speedway. 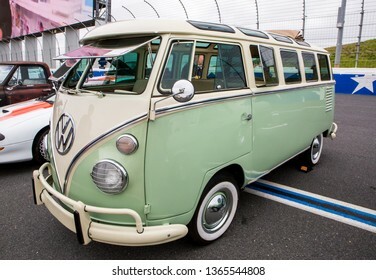 CONCORD, NC (USA) - April 6, 2019: A 1964 Volkswagen bus on display at the Pennzoil AutoFair Classic Car Show at Charlotte Motor Speedway. 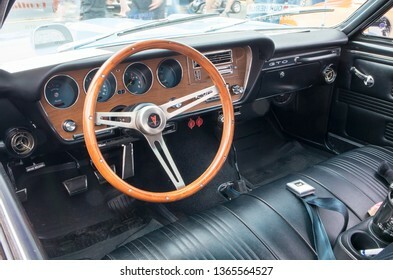 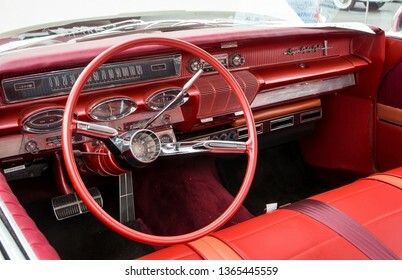 CONCORD, NC (USA) - April 6, 2019: Interior of a 1961 Oldsmobile Super 88 automobile on display at the Pennzoil AutoFair Classic Car Show at Charlotte Motor Speedway. 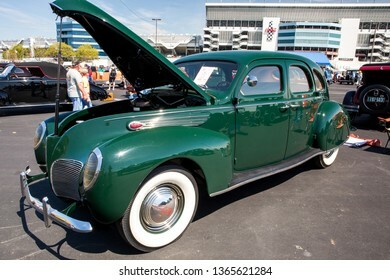 CONCORD, NC (USA) - April 6, 2019: A 1941 Oldsmobile on display at the Pennzoil AutoFair Classic Car Show at Charlotte Motor Speedway. 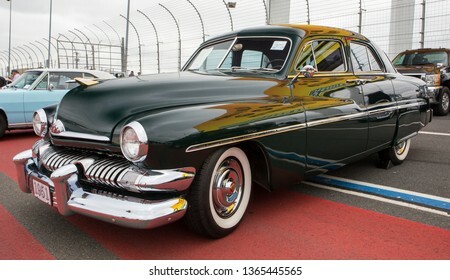 CONCORD, NC (USA) - April 6, 2019: A 1951 Mercury automobile on display at the Pennzoil AutoFair Classic Car Show at Charlotte Motor Speedway. 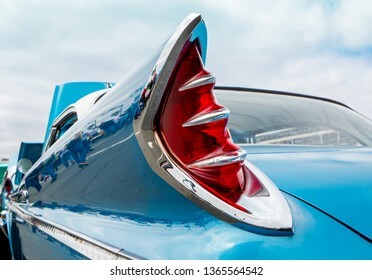 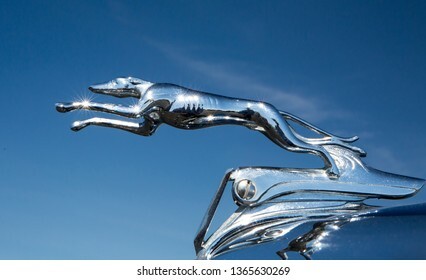 CONCORD, NC (USA) - April 6, 2019: Closeup of a 1954 Pontiac hood ornament on display at the Pennzoil AutoFair Classic Car Show at Charlotte Motor Speedway. 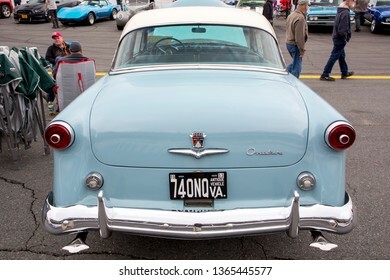 CONCORD, NC (USA) - April 6, 2019: A 1953 Ford automobile on display at the Pennzoil AutoFair Classic Car Show at Charlotte Motor Speedway. 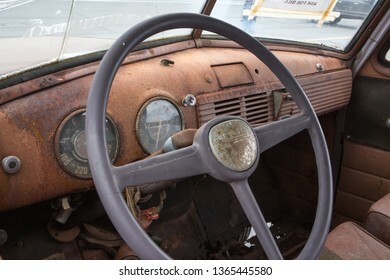 CONCORD, NC (USA) - April 6, 2019: Interior of an unrestored 1952 Chevrolet Suburban wagon on display at the Pennzoil AutoFair Classic Car Show at Charlotte Motor Speedway. 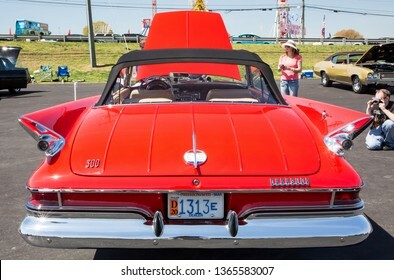 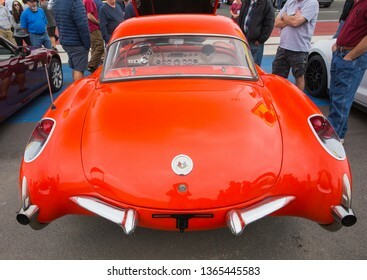 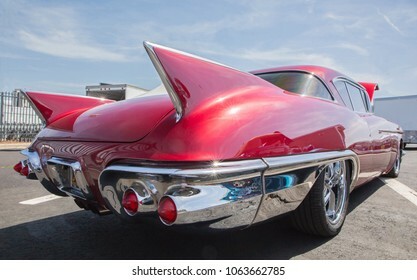 CONCORD, NC (USA) - April 6, 2019: A 1956 Chevrolet Corvette automobile on display at the Pennzoil AutoFair Classic Car Show at Charlotte Motor Speedway. 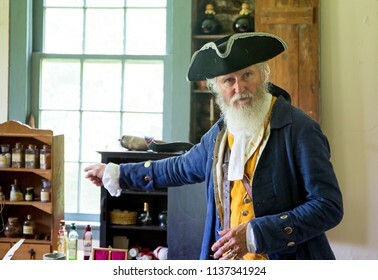 MCCONNELLS, SC (USA) - July 14, 2018: A reenactor in Colonial period costume welcomes visitors to Historic Brattonsville, a living history museum. 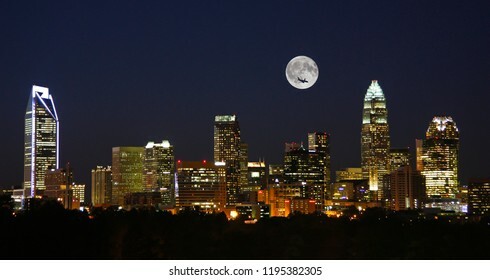 The skyline of Charlotte, North Carolina, at night with full moon overhead. 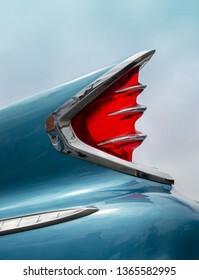 CONCORD, NC - April 5, 2018: A 1957 Cadillac Eldorado Biarritz on display at the Pennzoil AutoFair Classic Car Show at Charlotte Motor Speedway. 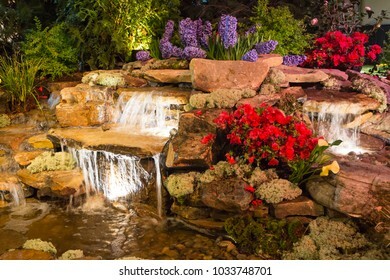 CHARLOTTE, NC - February 23, 2018: Brightly lit waterfall and pond landscape feature on display at the Southern Spring Home & Garden Show. 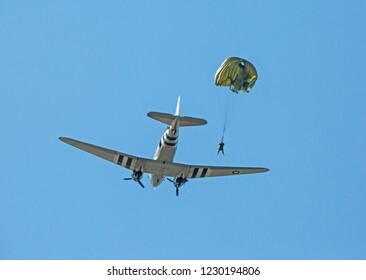 MONROE, NC (USA) - November 10, 2018: An army paratrooper jumps from a C-47 cargo aircraft during a demonstration at the Warbirds Over Monroe Air Show. 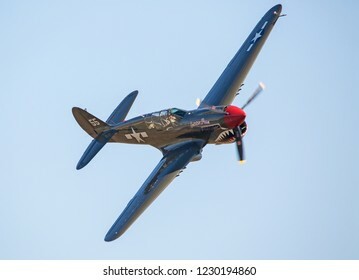 MONROE, NC (USA) - November 10, 2018: A P-40 Warhawk fighter aircraft in flight during the Warbirds Over Monroe Air Show. 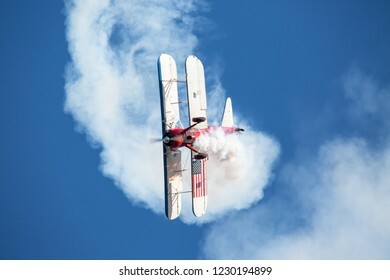 MONROE, NC (USA) - November 10, 2018: An aerobatic biplane performs a corkscrew manuver in deep blue sky at the Warbirds Over Monroe Air Show. 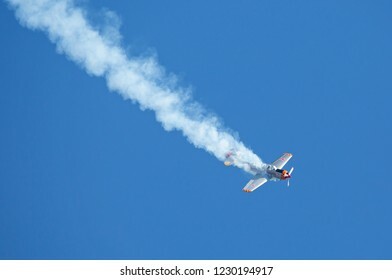 MONROE, NC (USA) - November 10, 2018: An aerobatic aircraft performs a dive in deep blue sky at the Warbirds Over Monroe Air Show. 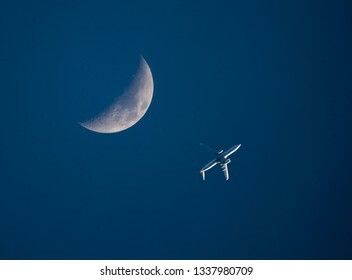 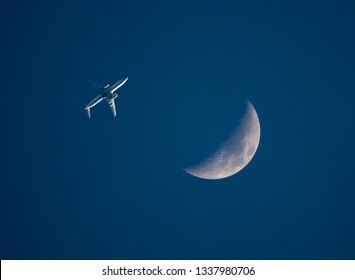 A low-flying commercial airliner passes by a crescent moon in a dark blue sky at sunset. 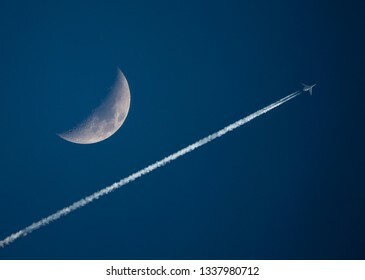 A high-altitude jet with contrails passes by a crescent moon in a dark blue sky at sunset. 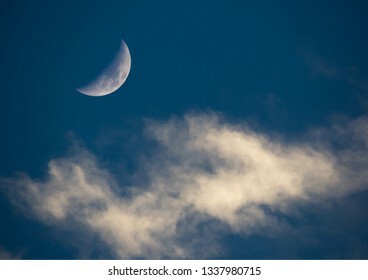 A setting sun illuminates a crescent moon and wispy clouds on a dark blue background. 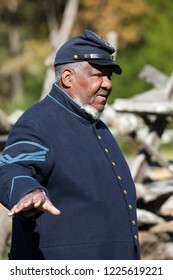 MCCONNELLS, SC (USA) - November 3, 2018: Portrait of an African-American reenactor portraying a Union soldier at an American Civil War reenactment at Historic Brattonsville, a living history museum. 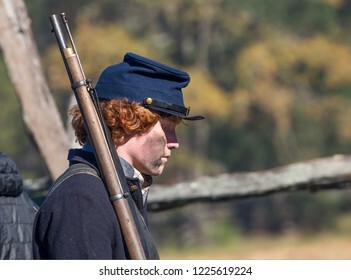 MCCONNELLS, SC (USA) - November 3, 2018: Closeup portrait of a reenactor portraying a Union soldier at an American Civil War reenactment at Historic Brattonsville, a living history museum.